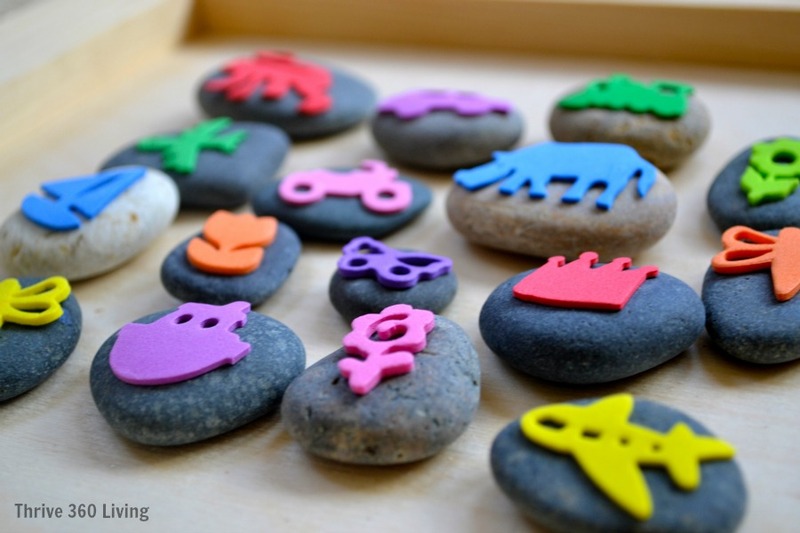 Rocks - If you can't find them outside, look at the craft store or the Dollar Store. Foam stickers - The Dollar Store and Craftprojectideas.com (stickers available at Walmart), are great places to find foam stickers. You can also glue foam shapes to the rock. For letters and numbers you'll need to attach them backwards to stamp correctly. 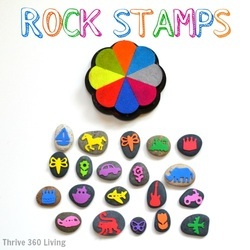 Stamp pad or paint - My absolute favorite stamps pads (shown in my first pic) are these by ColorBox. I love that they come with a variety of colors, and you can just remove the color you want to use. The ink is always vibrant. You could also use paint, although it might be a bit messier. And there you have it. A simple, cheap, lovable craft that kids will adore.